Services — Dr. BethAnne K.W. As an Intuitive Psychologist, I offer a variety of 1:1 services- Creative Soul Sessions, Grief Support, Professional Consultation, and Intuitive Readings. Sessions are usually 60 minutes, but I offer several time options for those who may wish for a little bit less or a little bit extra. My heart is helping others engage in their own process of heart growth and change, so I work on being adaptive, flexible, innovative, and creative with my offerings. If you’re interested in working together, yet uncertain as to what would best fit your needs right now- please feel free to reach out, and we’ll figure it out together. Sessions are done via phone or video, and I can be reached at bethannekw@gmail.com to schedule. Scroll down this page to learn more about my Sessions, Support, and Services. I compassionately tailor each session to meet the individual’s needs. Sessions take place over the telephone or over video. Please contact me at bethannekw@gmail.com for inquiries and to schedule a session. Creative Soul Sessions are designed to help support your process of personal empowerment and transformation, combining therapeutic, healing, and intuitive strategies. My heart is to empower individuals to live lives of greater authenticity and creativity. I believe we are all sacred artists, who have an opportunity to co-create with the universe each and every day. Our thoughts, our beliefs, our intentions, our hearts, and our actions are our tools; our lives the canvas. I believe we each have our own soul calling and heart path. I also believe that we each have a unique process of being and a unique way of interfacing with the world. And I believe that everyone deserves to unlock their gifts, explore their potential, and bring wild beauty, inner wisdom, radical self-love, and their own sense artistry into their lives. I designed Creative Soul Sessions for those looking to find greater clarity, depth, and insight on their life path. The individual looking to live more creatively, authentically, and magically. Sessions are focused on creative consultation, coaching, and collaboration. As we connect and work together, I offer guidance, support, and insight to help you discover your own soul path, to navigate transitions and life transformation, and to actualize your unique being and process in the world. In addition to dialogue and discussion, where we identify your intentions and goals, work through challenges, and find any blocks that may be standing in the way of further actualizing your dreams, I may also draw on empathic sensing and the use of archetype cards in the session, as I feel guided. My goal with Creative Soul Sessions is that they transcend and heal on multiple levels. They are designed for those looking to dive in and embrace a greater depth of transformation. For those looking to live bigger, braver, and more authentically. Those looking to be in alignment with their heart path and purpose, so they can keep creating a life of joy and possibility. I know how difficult it can be to go through grief. It is a journey that can feel isolating, emotionally chaotic, and difficult. I am committed to providing support for grievers who want a heart to heart connection. My 20 year clinical background coupled with my blend of intuitive psychology coupled with my personal experience over losing my brother, offers a unique perspective and insightful approach to anyone on a grief journey. If you are looking for someone to talk with, work through your loss, and find solace- I’m here for you. I know I can’t make the pain go away, but I also know from my own loss that having someone willing to be present in the pain, bring a candle of hope into a dark space, and help you sort through the contents of your heart can provide invaluable support. My goal in working with grievers is to gently come along side as a presence and guide and offer support. With empathy, warmth, and compassion, I aim to help others navigate the difficult waters of grief. I believe we each mend and heal at our own pace, in our own process and way, and I am deeply invested in honoring other’s healing journeys and helping shine a light on the path of loss when support is most needed. If you are a fellow healer- a coach, intuitive, mentor or guide, health service provider, etc.- and you are looking for support, I love working with healing professionals! My consultation services vary depending on need. I am here for fellow professionals in coaching and healing fields, who might wish for psycho-education or deeper perspective on issues or themes they may see coming up with their clients. I find this can be helpful for professionals wanting to stay within their scope, so they can better understand and serve their clientele and know when a referral to an appropriate medical or professional provider might be helpful. I also offer support for other healers and sacred space holders, who occasionally need somebody to hold space for them! I believe it is a noble and holy journey to offer healing in this world, and we need support for our own self-care and process of self. We cannot effectively heal if we are in a wounded space, and so I believe part of keeping integrity in the healing arts and sciences is to seek out support when we know we need it. 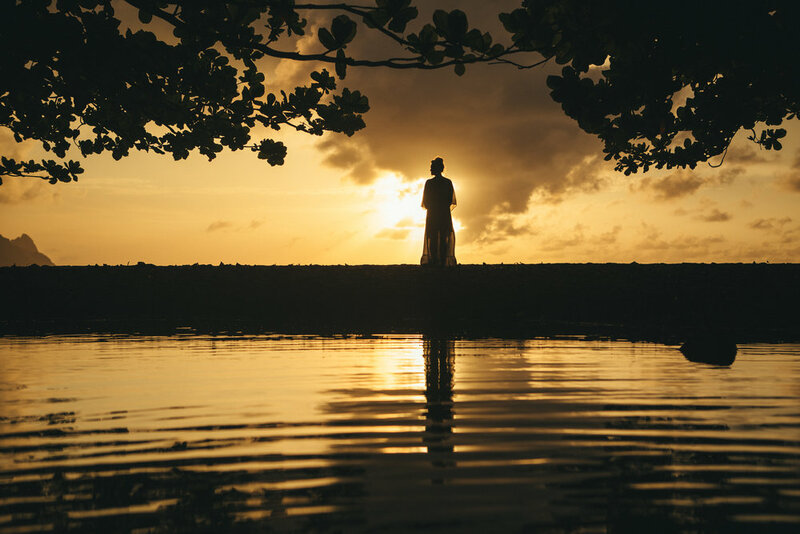 With my clinical background, intuitive gifts, and personal experience of transformation and growth, I offer a non-judgmental, compassionate safe space to help hold sacred space for your own inner work. Last, if your background is clinical and you find yourself transitioning into spiritual and intuitive work and you are looking to speak with someone who has traversed that same path, I am here. I understand how exciting, terrifying, confusing, and energizing it can be, and I seek to support anyone going through that kind of change who desires 1:1 support. Intuitive readings are wonderful tools for individuals looking for clarity and insight to specific life questions. During a reading I will access information from your guides and Akashic records to help shed light on your questions and bring in higher perspective, guidance, and wisdom. I ask that anybody who signs up for a reading come prepared with a list of topics they would like information on. During the reading I will take a few minutes at the beginning to fully tap into your unique soul energy, and after that we can dialogue and ask your questions as we go. I receive intuitive information through clairvoyance (I see images surrounding situations), clairaudience (I hear information), clairsentience (I receive a clear sense of feeling), and claircognizance (I have a sense of resonant knowing). My intention for serving others in this world is an intention of love, so know that all readings are done from a space of joy and love where I request that the only information which comes through is for your highest good and truth. Please note that the information that comes through in readings is not intended to be absolute, readings just show the current energies and possibilities surrounding a situation, which can be helpful with insight, direction, and perspective. I love doing readings; it is work that brings me joy to do as I never know what will come through, and I consider it an honor and privilege to read for others! Receiving readings from fellow Intuitives gave me so much confirming information which helped me feel encouraged and confident in moving to Hawaii and realigning my professional path. My personal experience with readings- as the giver and the recipient- is that they are often enlightening, fun, and a bright guidepost on our path, which helps nudge, encourage, and illuminate the next step.